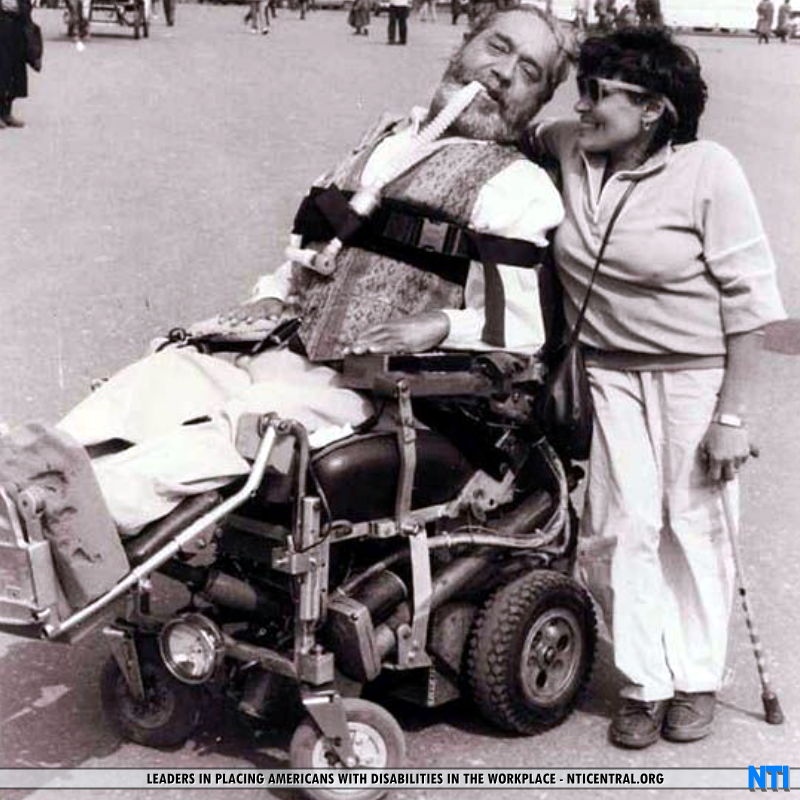 Americans with Disability Awareness: Ed Roberts - Disability Pioneer! 2010 California Governor Arnold Schwarzenegger signed into law a bill by State Senator Loni Hancock declaring that January 23 of every year a day of special significance! On January 23rd, Ed Roberts, a disability advocate was born. At the age of 14, Roberts contracted polio and was in the hospital for 18 months. When he left the hospital, he was paralyzed from the neck down, was only able to move a few fingers and toes and had to sleep in an iron lung. In the times before the Freedom of Speech Movement, Ed engaged many uphill battles. As a result of his disability, he was initially denied his High School diploma because he had not completed drivers education or physical education. However, one of his greatest battles came a s a result of his desire to attend the University of California at Berkley. The California Department of Vocational Rehabilitation thought that Ed was too disabled to ever receive a job and did not support Ed's goal in going to school. UC Berkley was also mixed in thier support of Ed attending their University. One of the Deans stated, "We've tried cripples before and it didn't work." Others, thought that they should do more to support Roberts. In the end, Ed fought for his rights and was able to attend Berkley, attained a Bachelor of Arts in 1964 and his Masters of Arts in Political Science in 1966. Eventually, Ed became a Ph.D. candidate in political, but did not complete his Ph.D.
During his time at Berkley, he established the Berkeley Center for Independent Living, which mirrors many of the independent living center models today. He also started a group called the "Rolling Quads" to promote independence among other students with disabilities to display a positive expression of disability identity. He also started the first student-led disability program in the country called the Physically Disabled Student's Program (PDSP) which still exists today. 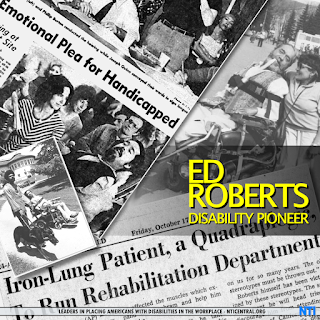 Ed Roberts went on to serve as the Director for the California Department of Vocational Rehabilitation, the same institution that labeled him too severely disabled to work until 1983. After his tenure at the Department of Vocational Rehabilitation, Ed returned again to Berkeley, where he co-founded the World Institute on Disability with Judith E. Heumann and Joan Leon and is considered a hotbed of activism. Roberts passed away, two years later, but has empowered Individuals with Disabilities to make a difference in their lives and the lives of others. Today we honor Roberts and those he supported. Thank you! At NTI, we serve a small part of a larger scale to support Americans with Disabilities. If you would like to be a part and learn more, contact NTI at NTICentral.org/learnmore. These associations combined to fabricate a generally planned, transit–oriented grounds situated at the Ashby BART Station in South Berkeley. The ERC houses the workplaces of the teaming up associations and additionally completely open meeting rooms, a PC/media asset focus, a wellness focus, a bistro, and a kid advancement focus.